While Larry Katz was conducting leading edge experiments on adult brain cell growth in his Neurobiology Lab at the Duke University Medical Center, co-author Manning Rubin was collecting and absorbing the flood of scientific research on the brain that was appearing in the national press and thinking about how to use this information in a way that would benefit others. They were serendipitously introduced by publisher Peter Workman. Over a two year period the pair blended their interests and talents into defining a unique concept they called Neurobics. They have developed it into this book that offers a new kind of brain exercise to help the growing millions concerned about mental decline as they grow older. Manning Rubin, is a Phi Beta Kappa from the University of Richmond and Johns Hopkins, Manning retired from stretching his brain as a Senior Creative Director for a number of major ad agencies to write full time. 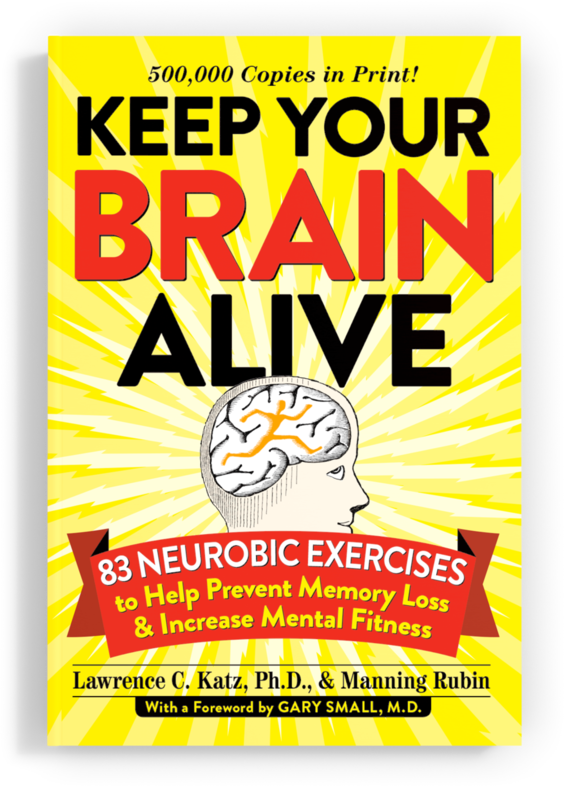 “Keep Your Brain Alive” which he co-authored with the late PhD. Lawrence C. Katz is now in 24 languages. His previous book "60 Ways to Relieve Stress in 60 Seconds" was also published by Workman.. As volunteer Creative Director for The Anti-Defamation League, he created and consulted on scores of public service ads for over 30 years to fight prejudice and hatred. He has lectured extensively on Neurobics, the new science of brain exercise. which he helped develop with Dr. Katz. He is a member of the American Society for Neuroscience and The Cognitive Neuroscience Society. He’s working on a novel at his home in NYC where he lives with his wife Jane.